Psychologist Jerome Bruner outlines two ways of knowing: the paradigmatic and the narrative. The paradigmatic way of knowing establishes verifiable facts about the world while the narrative way of knowing aims to establish meaning. Typically the former is the goal of research; however, a growing number of fields are interested in the latter. Social scientists have used narratives and storytelling for decades, a process that has allowed them to access the meaning making process. At the same time, narratives give insight into individual and group identities. One way researchers might analyze meaning making and identity development is through visual analysis in the form of narrative maps. The practitioner’s guide included here offers an example of how researchers might first indicate significant life events, part of the landscape of action, as well as how researchers can encourage storytelling in order to make connections to the landscape of identity. Most leaders know when they need to mobilize their organizations around a new set of competencies or a new value proposition, but sometimes struggle to activate new practices in their organizations. The paradox is that often the necessary knowledge is already there, but hidden in isolated pockets of innovation, or inaccessible because people do not know what they know, do not know it is valuable, or cannot describe it effectively. 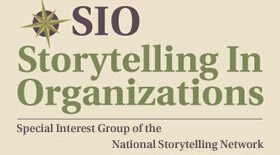 Through an exploration of two in-depth examples and four common barriers, the author demonstrates how story-sharing can be used to surface, translate, and apply the latent knowledge hidden within organizations, while simultaneously building relationships and cultivating communities that learn. She concludes by outlining how leaders might apply story-sharing activities for knowledge discovery and community development in their own settings, providing sample agendas, guidance on pitfalls, and options for less formal applications.